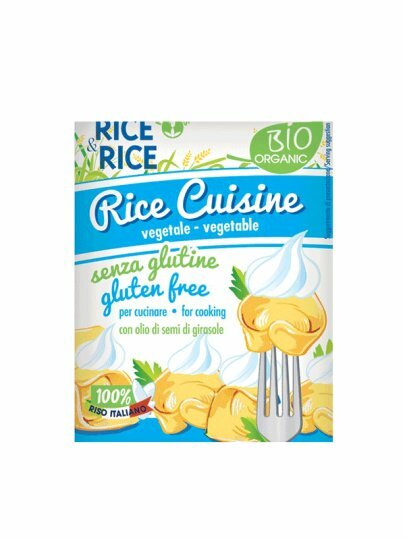 An exquisite 100% vegetable herb of rice, based on organic Italian rice, perfect for preparing many dishes and recipes because of its creamy texture as an alternative to cream. water * sunflower oil, * rice flour, emulsifier: sunflower lecithin, thickener (carrageenan, xanthan gum, guar gum), salts of natural aromas. *organic.